2006 (2nd ed). 20 pages. 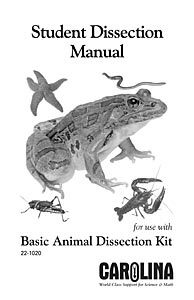 Covers basic dissection of the starfish, earthworm, crayfish, grasshopper, and frog. Contains labeled drawings of each animal. Soft cover.